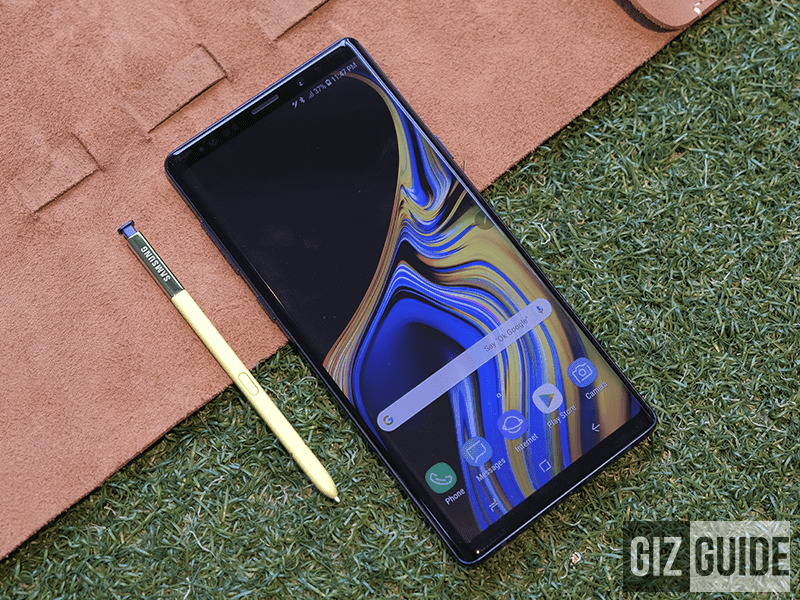 Samsung's Galaxy Note series popularized the phablets worldwide and the successor to it, the Note9 has arrived from Unpacked 2018 in New York. The Note line spear headed the popularity and utility of a phablet form factor with a pen interface which resulted into a loyal following that demand the benefit of the pen's added utility, the phone's raw performance, the large visual real-estate, the stunning cameras and the extended battery life. These were almost all fulfilled by the previous iteration, the Note 8. But before that, let's see at what's changed. 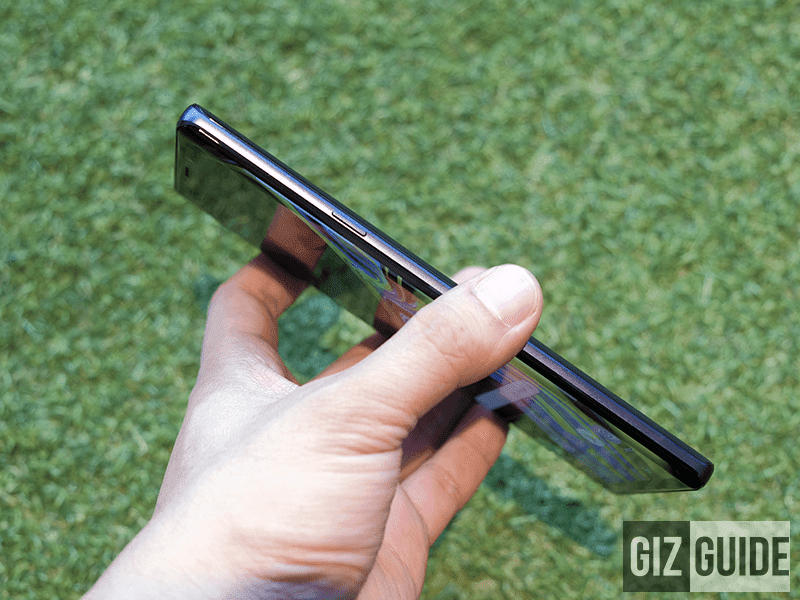 It now has a larger 6.4-inch curved super AMOLED display with Gorilla Glass protection. It is powered by the same processor and GPU of the S9/S9 Plus but with the option to have either 6GB RAM and 128GB storage or 8GB RAM and 512GB storage. 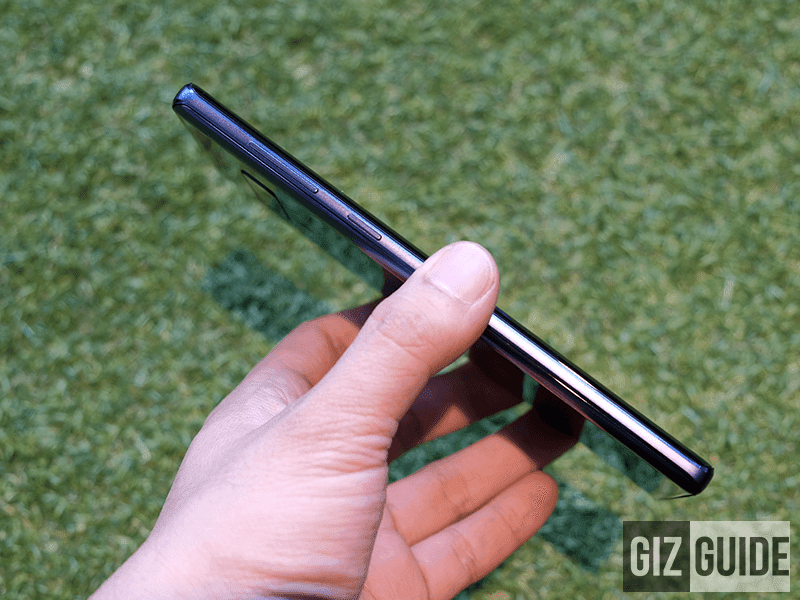 Will the Note9 live up to it and surpass it? Disclaimer: This unit was loaned to us by Samsung Philippines but rest assured that this will be an unbiased first impressions. 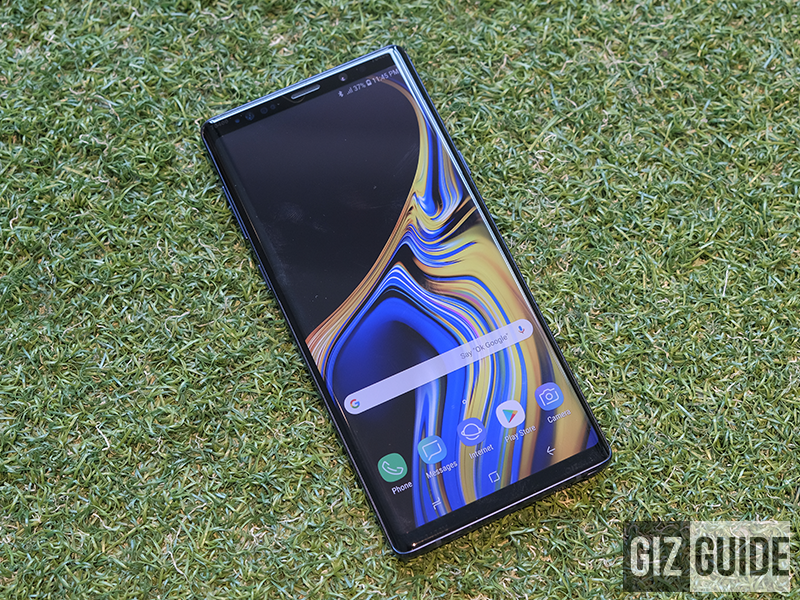 Note: We received the Samsung Galaxy Note9 by itself without a box and without the usual accessories. We've yet to see the final retail box. Once we have, we will update this article. The Note series has always commanded the staggering price point and the design is one of the reasons why it can. It has the same stunning metal and curved glass build from the S9/S9+! This also means that it doesn't look too different to the S8/S8+ and the Note 8. Classic Note design made better! Samsung says they used a diamond cut method to make the Note9 look sleeker and more premium and it does. But, if you weren't looking for it, you wouldn't notice the difference from the Note 8. The layout of the phone is again similar to the Note 8. On top is the SIM card/microSD card tray and microphone. 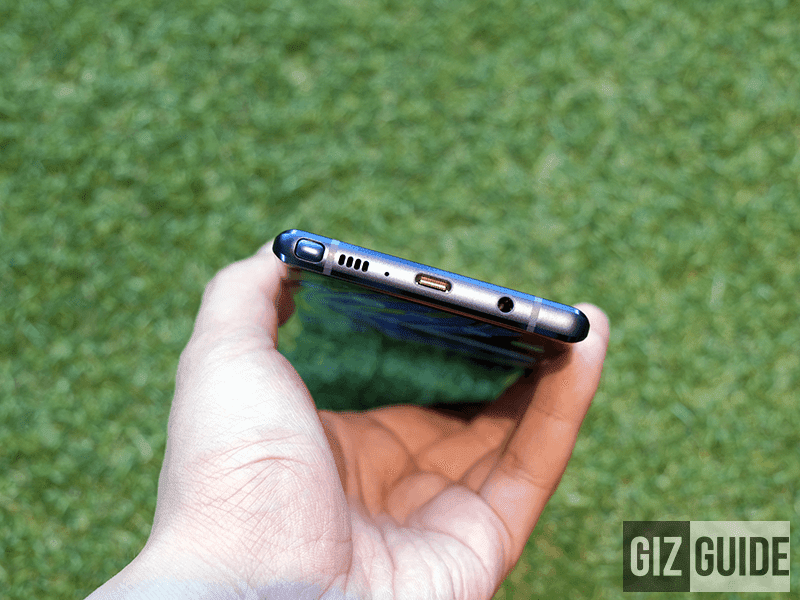 At the bottom are the 3.5 mm headphone jack, USB Type-C, microphone, speaker grill and antenna lines. 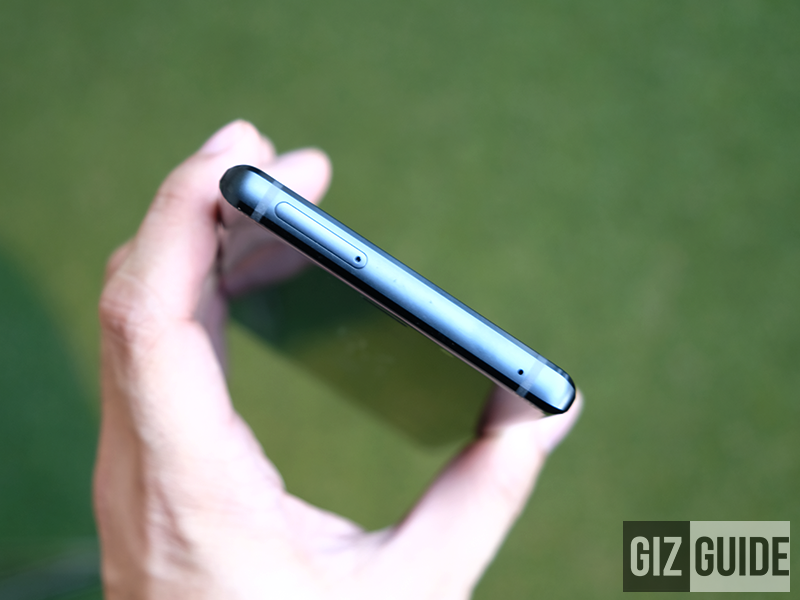 At the back are the rear facing dual cameras with the fingerprint sensor at the bottom it. There are also regulatory information and branding at the bottom. On the right is the familiar power button while the Bixby button and volume buttons are on the left. In front is the display with only the top and bottom bezels. On the top bezel you will find the earpiece, camera, light and proximity sensors. What does change is that it is a lot easier to hold than the Note 8. We remembered fondly how the Note 8 became sharper to hold the longer you held it due to fatigue because of the size and weight of the phone. It supports wireless charging and as mentioned earlier retains the 3.5mm headphone jack and is expandable up to 1,024GB! The humongous display of the Note9! 1. The Note9 is a beautiful phone with one of the most premium build materials of metal and curved glass. The way light reflects in some situations are stunning. It is worth the price tag on build quality alone. The display is a 6.4-inch Curved Super AMOLED display with a 1440 by 2960, 18.5 by 9 display with a whopping 514 ppi! It also supports the HDR 10 standard. Like the S9/S9+ the maximum brightness can be boosted for a limited time but at the standard max brightness it is bright enough to be visible and usable in broad daylight. 2. It is running on the 2.8GHz 64-bit Exynos 9810 octa-core processor, Mali-G72 MP18, 6/8GB and 128/512GB ROM. This makes this a powerhouse in terms of specs and storage. The storage is also expandable up to 1024GB via 512 microSD card! It now has a large 4,000mAh all-day rated battery that supports Samsung's adaptive fast charging! 3. The phone is on Android 8.1 Oreo with the updated Samsung Experience 9.5 (as opposed to the 9.0 in the Galaxy S9/S9+). This means that the DeX is built in and you no longer need a dock. You just need a USB Type-C to HDMI cable to turn on DeX mode and screen mirroring. 4. The rear dual camera set up is a 12MP (f/1.5/f/2.4) and 12 MP f/2.4 telephoto lens that have Dual Pixel autofocus, Dual OIS, multi-frame with dual tone LED flash. The selfie camera on the other hand is a 8MP f/1.7 w/ AF, wide angle lens, and screen flash. It has the same rear dual Aperture camera module in the Galaxy S9 but Sammy claims that it is now more intelligent with 20 different recognized scenes. From our initial experience it was able to detect people, grass, food and trees. The first shots from the front facing and rear facing cameras we took with the Note9 are noticeably better than the S9 and S9+. The images have are deep with contrast, are strong in resolution (without post oversharpening) while the colors seem natural with a hint of extra saturation in some scenes in both day light and indoors. In lowlight, we immediately noticed the improved grain control. We will have to do more testing to see how it performs in more varied situations. The screen flash of the Note9 is surprisingly good being able to properly expose and pick the best white balance of our faces when used. 5. The Note9 has a fingerprint scanner at the bottom of the camera. It supports wireless charging, bluetooth, NFC and OTG. It has a light, proximity sensors along with a gyroscope. Lastly, the AKG-tuned stereo speakers support Dolby Atmos. 6. The new S Pen is the highlight of the new Note9 with most of the significant changes. It is now constantly connected to the phone via a separate Bluetooth module that works without interrupting the other Bluetooth module used to connect to other accessories. This new S Pen is powered by a super capacitor that is rated for 200 clicks or 30 minutes of continued use. It charges as soon as it is returned into the compartment and will be fully charged after 40 seconds. This new Bluetooth module allows the S Pen to be used as a remote with different functions depending on the app. If used with Microsoft Powerpoint, it can be used as clicker for presentation and when used with the camera app, it can take pictures and switch to either the front or rear cameras. This can be used to as far as 10 feet! 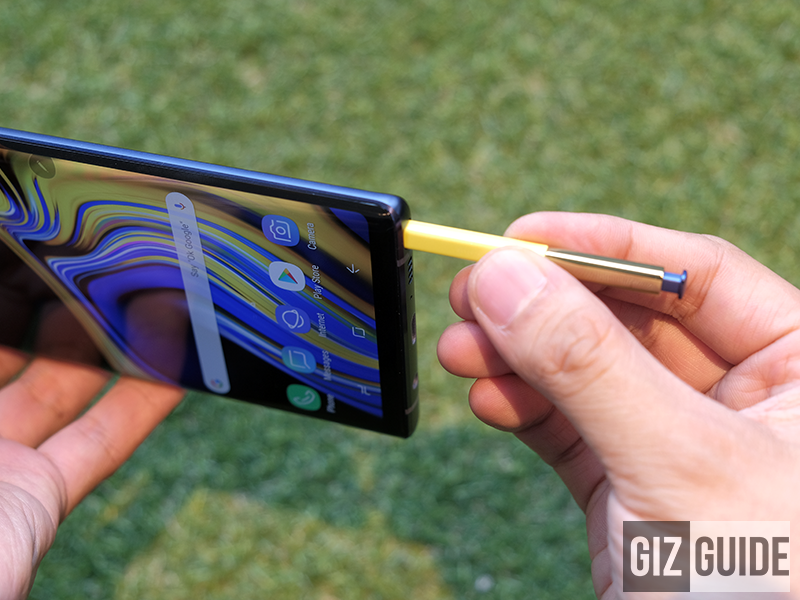 It is clear that the Note9 may not be too different to the previous Note 8 externally, but it does present huge improvements in areas like the battery and the functionality of its signature feature: the S Pen. 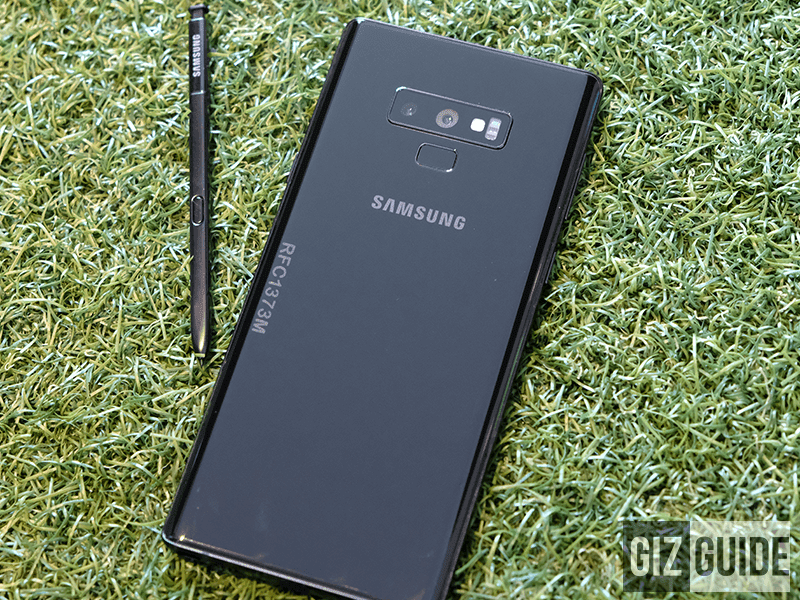 For our review: Samsung Galaxy Note9 Review - Nearest to Perfection so far!